For full season information and to book online visit neeld.co.uk or call the box office on 01249 446699. In 2015 The Neeld was refurbished to include a new bar, installing 158-seater retractable tiered theatre seating, air conditioning and improved lighting and sound equipment. The Neeld now offers a high-quality, flexible venue for professional shows, corporate and private functions and community events and activities. 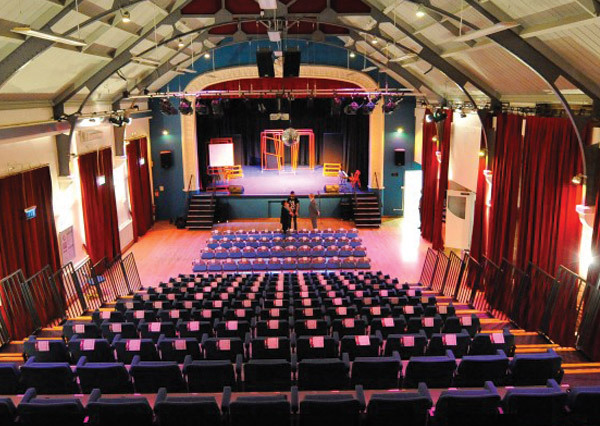 This exciting venue brings a varied cultural life to Chippenham with professional shows, live music, exhibitions and events while continuing to provide a well used and much loved community venue. If you would like to bring a professional show to the Neeld, please contact Julie Hook our Venues Manager on jhook@chippenham.gov.uk or call on 01249 446699. If you’d like to discuss booking the venue for a private, community or corporate event you can download and fill in our enquiry form here or call 01249 446699 and speak to our Venues Booking Co-ordinator Helen Bywater hbywater@chippenham.gov.uk.